The tasting area is located in the restored barn next to barrel storage. To join the wine club, visit www.truchardvineyards.com or call 707-253-7153. We ship 3 times a year with 4 bottles at a time which are the new releases. Shipments are Feb l, April 15 and Nov. l with the average cost of $140 per shipment. We offer parties during the year such as a vertical tasting in the cave, a pre-harvest barbecue. Once you are a member of the wine club, you do not have to pay the tasting fee and you can purchase wine at l5% discount and 20% off case purchases. 10% off of wine purchases offered to our Napa Neighbors with proof of residence. Hours by appointment. Not available Sunday. 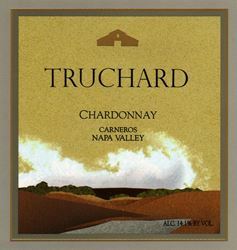 Truchard Vineyards is certified under the Napa Green Winery Program by the Napa County Department of Environmental Management (DEM) and the Association of Bay Area Government’s (ABAG) Green Business Program and completed all the regulatory components needed for environmental sustainability. These components included developing water and energy conservation methods, preventing pollution, and reducing solid waste. In addition to developing sustainable winery practices, this program is set to become the standard for the state of California. Truchard Vineyards is certified under the Napa Green Certified Land Program. Truchard Vineyards has created and implemented a customized farm plan with measured results that addressed all aspects of its property, vineyard land as well as non-farmed land, including practicing soil conservation, water conservation, stable drainage, riparian corridor enhancement, fisheries and wildlife habitat enhancement and long-term improvement and sustainability.